I came across this little bridge on Wednesday which was a pleasant surprise as I didn't know it existed. It is tucked in behind CDS in Billacombe Road. 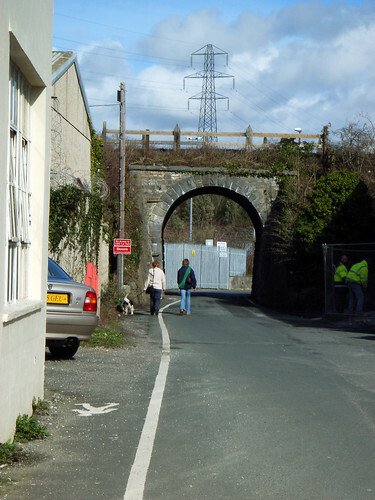 It used to carry the Turnchapel branch line over this lane. The lane itself seems to act as a short-cut to the industrial estate in the old quarry. This is also where the First bus depot is now situated. I am now clearly having to go exploring in this area soon to see what else I can find.